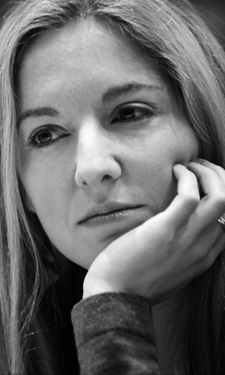 Victoria Coren Mitchell - Blog - Into Action. And Out. And In. And Out. Into Action. And Out. And In. And Out. So here I am in Las Vegas for the World Series of Poker, six weeks after everyone else got here. So many Brits have won bracelets this year, they’ve actually broken records. If I’m going to win one, it’ll have to be in the main event. That’s what they call a long shot. Or I suppose I could win the $2500 No Limit Holdem later today. I’ve got three shots in total, and I already failed to win the $1500 Limit Shootout. That was more to do with admin issues than play, but I must admit I didn’t feel lucky on Day One of the trip. “That’s me”, said the man standing behind us. I mean, on a big transatlantic jet, what is that - a 750/1 shot? The plane has TWO FLOORS, for heavens’ sake, never mind the great snaking lines of people on either side. We felt unlucky. Nevertheless, the Limit Shootout went rather well. I have never really played limit, but I gave this a shot because it was “a bracelet opportunity” and not too expensive. My concern about playing a limit tournament (in which the betting is capped in each round, so you might - for example - only be able to bet 20 into a pot of 200) was that I didn’t understand how you could ever get anyone to fold. They’re always priced in! Anyway, I typed out the tweet, “Wow, it’s much easier to bluff in this game than I thought it would be”, and was just about to press send when the chap next to me said, “You’re one of my favourite people to follow on Twitter”, and showed me his Blackberry. I thanked him for the kind compliment, and quietly deleted the tweet. I only have a normal phone myself, so I can send messages but not see any replies; I forgot that the rest of the world is a little more techno than I am. On a 10-handed table, I got down to the last four. On the break, I bumped into a friend who owed me some money. He’d just been knocked out of a tournament so it’s a bad time to ask for anything - but this is a caked-up kind of guy who always seems to have bundles in his pocket, and I needed the cash because I hadn’t brought any with me, so I broke with formal etiquette. He gave me a large Rio chip. I asked if he could cash it at the cage, but he was keen to get out of the building (quite understandable; the Rio is nobody’s favourite place at the best of times, and when you’ve just been knocked out it’s about as much fun as sticking around in Hades for just one more cup of coffee and a round of mini-golf) so I took the chip gratefully and decided to cash it on the dinner break. Big mistake. I queued at the cage for half an hour, then handed over the chip. Of course, this was a chip that I had neither bought nor won from the Rio myself. That, I realized from the face of the cashier and her supervisor, opened the possibility that I had STOLEN IT. They looked at me as if I had just arrived at Customs, slapped a pistol onto the counter and asked if they could gift-wrap it for me. By the time I got back to my tournament table, with no money and the chip still at the cashier’s desk, I had missed two rounds and they were down to three-handed. It was just me, the great poker player Chau Giang and Rob, my kindly Twitter follower. Never mind. I settled back into the game. But I was worried. This guy had to get back to work and might be leaving soon. He had been kind enough to phone the guy who gave me the chip - who had been kind enough to take time out from his dinner to explain that I was not a thief. Everyone was doing me a favour. And what if I couldn’t get the money later? I needed it. A bird in the hand… well, let’s be honest, it was several thousand birds in the hand. It wouldn’t take long, I reasoned, to nip back to the cage and pick up the money. I’d forgotten about the Rio’s love of PAPERWORK. Oh boy, the forms and signatures. Twenty minutes later, I got back to the table to find my chips severely depleted by the blinds. But guess what? It ended just like it would in a Hollywood movie! A depressing, indie Hollywood movie. I finished third. Ah well. At least I can blame circumstances, not the action. I can tell myself that if it weren’t for all the legal niceties and form-filling, I would definitely have been the 2010 world champion of $1500 Limit Holdem. Besides, I was insanely sleepy. The jet lag had kicked in. I was at that dangerous stage where getting into bed was feeling more attractive than winning first prize anyway. Also, I had a quick skim through the Twitter replies when I got in and someone had sent me an encouraging picture for the tournament which - although I hadn’t been able to look at in time for it to bring me luck, not having a Blackberry - I found enormously cheering. Hope it has the same effect on you. Lovely. Back into action later, for the $2500 No Limit Holdem. Just me and 2000 others. Update: It was a great day’s poker (in the $2500 NLH) UNTIL a very unlucky last level and a horrible hand near the end of the night. BUT I have made day two. Around 580 people are going back, of the 2000 starting players, and I think I have average chips. It’s just a shame not to have a great chip stack, as I would have had if we’d finished one level earlier! Never mind, maybe tomorrow will be a lucky day. Update: Day Two. About 40 minutes in, a player raised to 2500 (blinds 400-800). I reraised all in for 19,000 with a pair of nines. Unfortunately, the big blind was waiting with a pair of tens and didn’t want to pass them. So, I’m OUT in about 430th place. I think it was a pretty big call from the guy with the tens, but what the hell, I can’t be upset because I did nothing wrong. The original raiser threw his hand away, and it’s just unlucky that someone else was lurking. Never mind, at least I got a couple of days for my money. I’ll have to win my bracelet in the main event instead. Hi Victoria, just reading this, then I had this overwhelming desire to want to look after you, but barely being able to do the same for me I soon got rid of that one!! Was just in Stockholm, met a Swede who said he knew you, buggered if I can remember his name now! My best wishes for the tourney (I know it means a medieval joust, but win a bracelet and not a hanky) good luck! Good Luck Vicki, hope you get the bracelet you deserve. I am avidly following your progress on both the WSOP sites, and your twitter. I honestly have no idea. Some poker players put an endless stream of technical tweets throughout tournaments “Made it 250 with KQ, opp 3-jammed KJ, I call, flop…” etc. I try to avoid that, keeping it occasional and pretty basic - usually how many players are left and whether my chips are good or bad - hoping it’ll be reasonably diverting for people to watch the numbers go down and see if I cash or not. Or, if not diverting, at least neutral! But after a tournament with a few tweets like that, I always notice that my follower-numbers have gone down by 20-40 people. Plenty of others have tweeted to say they enjoyed following it, but others have nixed me in disgust. I don’t know if they’re bored or actually disapproving. But what can I do? I’m a poker player! If you’re meant to tweet what you’re up to, that’s always what I’m going to be up to some of the time! How is tweeting not potential cheating in poker? If you don’t win a bracelet never mind. You can have the one I bought at a stall for 50p. It’s got magnetic beads so it can be a bracelet or a necklace or a four finger bling ring. Multi-context jewellery! I have never played poker but I am sending you a lucky rabbit’s foot, suitably compressed, to help it download quicker, and hope it reaches your hotel room in time to win you that bracelet. P.S. please do not forget to rub it each time you decide on your hand of cards. Please don’t stop with your tweets. You have a medium sized town following you, there’s no way they can all love you all the time and if they want to move on who are you to stop them..
Just read your website (nice colour scheme) and stuff and have ordered two of your books, so looking forward to reading them. Hoping the poker one will inspire me to become a good poker player as i’d love to learn more and play it more. Can I still be good even if I am not very good at maths? My problem is that I follow people I like (journalists, comedians, sports players etc) and then after a few weeks of reading their tweets I come to the conclusion that actually this person is a complete tool and I could quite easily grow to dislike them so I then unfollow them. Plus the fact that most of them are only there because they are told to by their PR people and/or their employer. Hi Rich. Sure, you can be good poker without being good at maths. Poker is a game of many things. Observation is the big one. In the live game, you can observe all sorts of things about people, to work out how they are playing and whether or not they like a particular hand or are bluffing. Live and online, you can take note of people’s “bet frequency” and concentrate on what kind of hands they show after betting what kinds of amount, and when. There is actually also software to help you track that stuff. I personally don’t use it, but people say it is very helpful. Guts and bravery are another. If you won’t be pushed around at the table, if you are prepared to go with your instincts and commit to a hand, that is a huge advantage in tournament poker. Timing is also key. There times (especially in cash poker) where patience is far more important than bravery. You need to be tough but not stubborn. Patient but not weak. Obviously a strong mathematician has got extra advantages. If maths is a weak point, well - you don’t need to be doing sums all the time! You can get by fine on a sense of RELATIVE numbers. How much is your opponent betting, compared to how much is in the pot? How many chips have you got, compared to the bet? But practice is all. After a while, if you concentrate on the game, you will start to understand instinctively how that stuff works, even if you can never do the actual calculations immediately. Good luck. PS. My poker book might help, I’m glad you’ve bought that and hope you enjoy it. You’ll see that it is written in alternate chapters. The “main chapters” are just a story about my life in poker, the characters, the adventures etc. After each chapter is an extra one in italics, describing hands I played in a major tournament. Those “extra” chapters will show you how I am thinking about each hand and what to do in each situation, and you will see it is not mathematical at all! It’s just a way of thinking about people and what they do. Just wanted to say that I agree with you about Nick Wealthall, he’s hilarious. I discovered his pokerstars tv stuff by accident. People check it out !! Read both your books by the way and enjoyed them both tremendously and Only Connect makes my head hurt but in a good way! I’ve not read your poker book but am rather intrigued as to why you wrote it. If I were in your shoes and your young age I wouldn’t want to give away my secrets just yet – unless, of course, it’s all one clever deception. 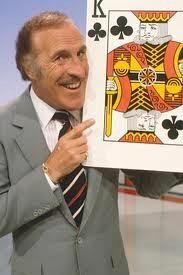 Incidentally I got a degree in Maths and am still a very bad card player. Hope you win. Vicky, you may be right that in poker observation is “the big one” but my observations lead me to wonder something. If observation is so important why do some poker players listen to music, watch films, read newspapers, tweet, knit, sleep or drink alcohol (which impairs the senses) at the table or leave the table during the game? If information helps players make decisions why do they block out information by not looking or listening? I’m not saying that the theory that observation is important in poker is wrong. Indeed, I think it’s right. I just find it hard to reconcile the theory with the reality of how poker is sometimes played. Fair point? Two reasons. One: some people just have a very short attention span (especially if they’re used to playing 5 games online simultaneously). Two: not everybody considers “observation” to be the strongest weapon in their armoury. For others, aggression is number one. Or (heaven forbid) the actual cards! Hi and thanks for getting back. I just watched your vids at the EPT in London. From observing what was played, I think you were good at not giving anything away with Emad (the bluff) but he could have put you under more pressure maybe? With the call you did, I think you might have an advantage here. Being all female, you can get away with talking out loud to Barney like that, which probably gave you what you needed to make the call? I think if the big Swedish guy would have done that, Barney would of been like ‘oi mate what you doin, get on with the game yeah’ (or whatever…). I bet they hate it when you do that. I’ve recently become the family champ of Rummikub, so i’m now looking for the next table based game to conquer and I think poker might be it. Just to say that I have just bought your book about your poker-life, and am enjoying it immensely. I wonder if you play other card games as well, such as Bridge or Canasta? Oh yes and I have just ordered ‘Once More With Feeling’ Because I feel it deserves more recognition. With 2 weeks to go in your Las Vegas tournament do you ever get nervous? Successful, good looking, clearly very smart, a gambler and very much your own woman.. probably explains why ‘a small town’ follows your blog/tweets..
..but can being so successful and attractive in this modern age be as much a burden as a benefit? ..well, unless you decide to ‘spill the beans’? Chris - I can’t tell if you’re being serious… if so, that’s a very flattering question but I think for success and beauty to be “a burden” you’d need a lot more of both than I’ve got! You’d have to ask Scarlett Johansson. For me, I’m grateful for any small poker win, newspaper cheque or day when I manage to get out of the house without looking like Grendel’s mother. Vicky, you get nervous about social occasions? There’s a word to describe people who feel like that but I can’t find it at the moment. I may find what I’m looking for one day. Anyway, thanks for the earlier reply and good luck in the main event. I hope you get some good cards and afterwards you get what you want most. If I remember rightly that was a new house and a full-sized snooker table. Mind you, you could have bought those with your winnings from Monte Carlo earlier this year. I came across you by chance on “have i got news for you”. was impressed with your wit, knowledge and sense of humour. didnt know where to post or even if to but did anyway. feel a little like a stalker now as i have never spoken to a celeb before lol. hope you dont take me as that. i just took an interest in how your life has developed and love the way you write and think. will be following your articles more closely i think. do you ever reply to non celebs lol. hope the poker goes well as im a novice just learning the ways and loving every second. Hi Richard. I certainly don’t think you’re a stalker - not yet anyway… But then, I don’t think I’m a celebrity! We all just do stuff to make a living, right? And sometimes there are people watching, and sometimes not. Thanks for your nice message, and good luck with the poker. thank you so much for your reply. you are a celeb, but that isn’t a bad thing, especially when you’re a celeb that takes the time out of your busy schedule to reply to interested followers. i know you’re a busy lady but i hope i get to speak to you more, you have some wonderful views on many things or is it you are just gifted at expressing them in a very special way haha. Yes, I think most celebrities are like that but they still see other celebrities as such. It must be hard to live with the myth (I’m sure there’s a better word but it’s gone midnight) that people see you as. When it comes to poker, that is the best answer I can give you. i like what you did tieing it back to the title, very funny. i think i agree. to liken it to my motorsport, i could teach anybody the lines, the braking points, turn in points etc, even show them the telemetry of throttle and brake positions (the science part) but that doesn’t mean they could go out on track and beat me in a race. You need a feeling, a natural gut instinct (the art part). both are different to drive and determination, everybody out there has that in varying amounts but i believe the art part is what makes the difference. hope i have an artistic streak when it comes to poker. i feel an experiment brewing. i have an idea for one, now how to implement it? I have to say though, all-in pre-flop in the early stages of the Main Event seems to suggest you were playing this tournament when the moon was in conjunction with Mars. i have to say thank you victoria for inspiring me to go play online instead of just down the local pub. Just finished 35th in my first tourny out of 2500 players after about 5 hours of playing. lost track of time actually, might be longer. I loved it, need to play more. yes, I was being serious. Thanks for finding the time to reply - I don’t know how you manage your time but looking at your multitude of talents and activities I’m guessing you’re a hyperactive insomniac? I certainly wouldn’t want to pick a fight with you either way! PS. I think you’re being hard on Grendel’s Mother - There seems to be some question around the interpretation of Old English regarding her description as a monster?